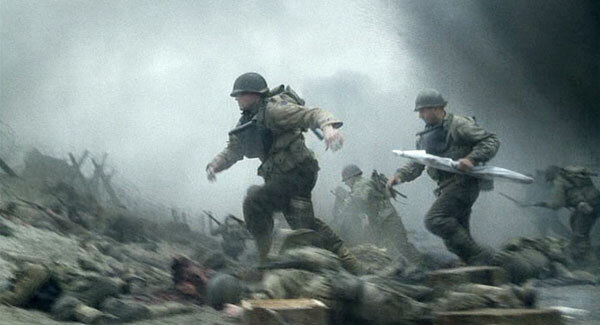 Pliofilm, developed in 1934 by the Goodyear Tire & Rubber Company, was a rubber-based clear (and later dark green) plastic used to protect equipment, especially weapons, from water and sand during the D-Day landings. 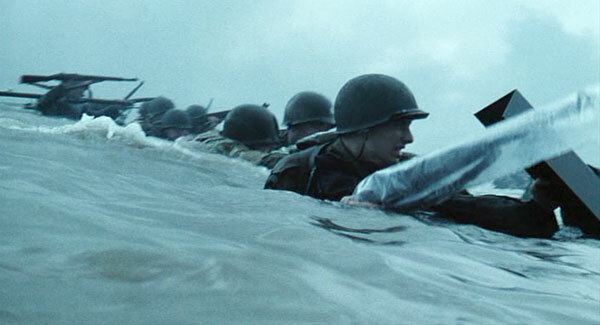 The weapons were to be encased in the Pliofilm while the troops were aboard their transport ships, but this caused difficulties with those that had to board landing craft using rope ladders and required the use of their rifle's sling during this tricky procedure. 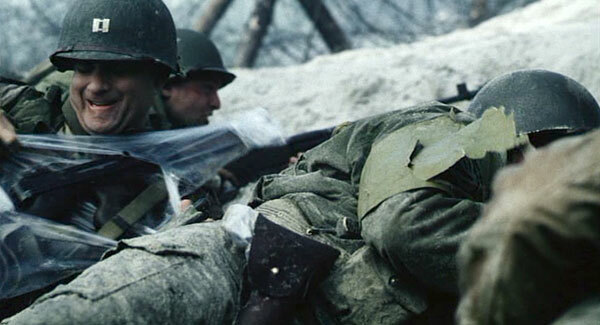 An alternative to the Pliofilm was the use of condoms which could be easily placed over the barrel of a weapon and then fired through when needed. 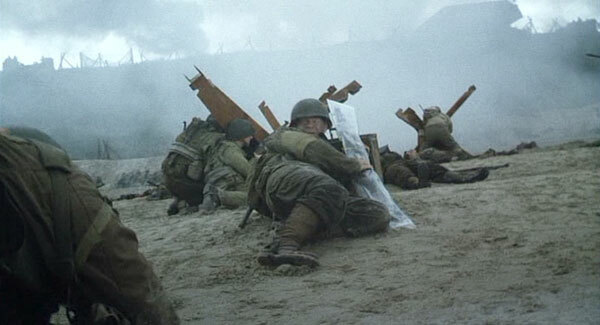 Pliofilm is seen during the Omaha Beach battle scenes.